It works with any PC or laptop but not a Mac (apple language). Building Construction Commercial and Residential Contractors to Home Improvement Contractors Business Management and the Law for each state and an Audio Law CD Blueprint Reading Estimating and Bidding which includes the Contractor's Math Highways and Streets Contractor, International Building Codes, OSHA safety Remodeling, Alteration, and Maintenance, Alarm Company Operator, Metal and Steel Alarm Systems Contractor, Boiler, HVAC, Carpentry Finish and Rough Concrete, Traffic Control, DRAINAGE AND CULVERT, Drywall, Fencing Landscaping, Earthwork and Paving, Electrical, Elevators, Fire Protection Flooring and Floor Covering, FOUNDATIONS, PILINGS, Glazing, Railroad Construction Insulation and Acoustical, Lathing and Plastering, Lock and Security, Masonry Low Voltage Systems, Municipal and Utilities, OIL AND GAS FIELDS, Tanks Roofing, Painting and Decorating, Pipeline, Plumbing, Refrigeration, sewer, water, gas, signs, solar, Sprinkler Systems, Swimming Pools, Tile, Water well drilling, Welding, Asbestos, General Engineering, Underground Utility and Excavation, ETC. Note; Our Study Guides and our Contractors Practice Exams are Focused Tutoring Tools that keep you on track to pass your Contractors State Exam without having to use books to study from (that can be just too much information that's not even on the actual Contractors Test). 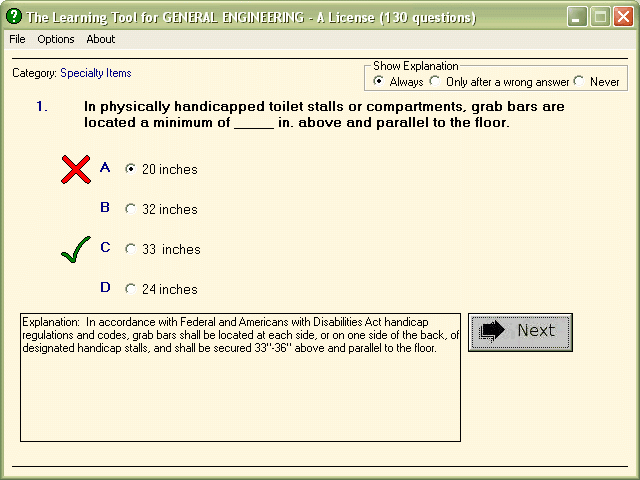 The explanations and answers connected to our practice exams are from the same contractor's trade and code books that are used by your Testing Center. 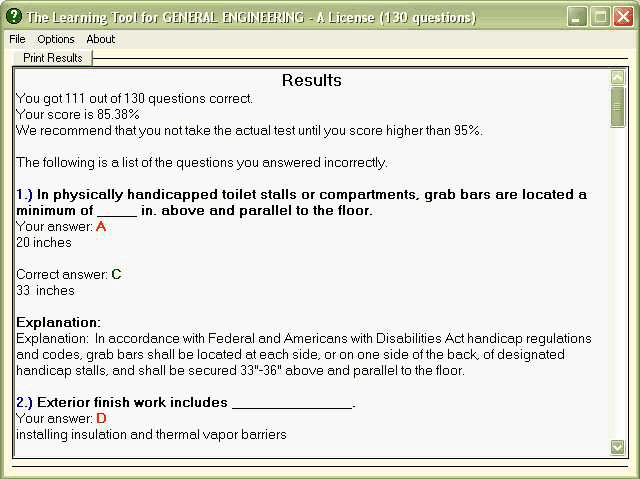 And that is why everyone passes because you get exactly what you need to know, enabling you to pass your contractors licensing exam. Our Practice Exams will keep you focused on what you need to understand.